Brushing and flossing are the two best ways to avoid tooth decay, but what you eat and drink also plays a part. Tooth decay is caused by acids eating away at tooth enamel, and those acids are typically produced by bacteria on the surface of teeth and beneath the gums. Certain foods and drinks can either combat or contribute to tooth decay, and knowing the difference can help you manage your risk. – Soda and sugary drinks can be both acidic and sugary, contributing both to stronger bacteria colonies and weakening the enamel that protects the teeth. – Lemons, oranges, tomatoes, and their juices all have some sugar, but are very acidic – eating or drinking them is fine, but you should avoid sucking on lemon wedges for extended periods of time, as the acid is strong enough to erode enamel very quickly. – Foods like milk, cheese, and plain yogurt provide important minerals that will help strengthen your teeth. – Sugarless gum (containing Xylitol) will stimulate saliva to help wash food particles from your mouth, and the Xylitol will actually help fight the bacterial colonies within your mouth. 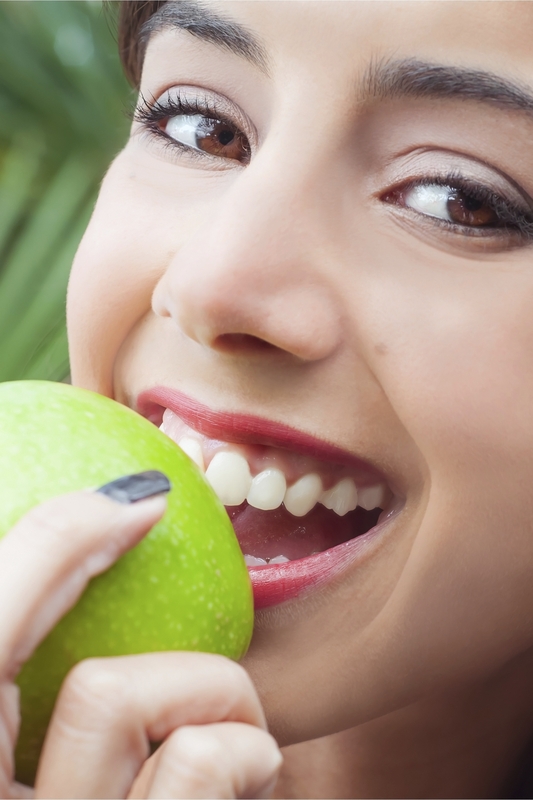 While it may not be practical to avoid all sugary and acidic foods, knowing that they can contribute to tooth decay allows you to take steps to mitigate the risk. After eating or drinking sugary or acidic foods, brushing and flossing can help remove the sugars and acids to keep bacteria and tooth decay away.